I’ve said it once but I’ll say it again – overall, 2018 was a solid season for the Mississippi State Bulldogs. Finishing 8-5 with a New Year’s Day bowl berth in the first year of a new coach, despite what some fans might say, is a solid season. Understandably, considering the returning talent and how well the defense played (more on that in a bit), many will feel this team underachieved, and there’s a valid case to be made for that. And while there were moments this fall that fans might not want to remember, there were even more moments that were terrific, such as these 5 — my favorite 5 from the 2018 season. After the Bulldogs’ ugly 19-3 loss in Baton Rouge to No. 5 LSU, I called for senior QB Nick Fitzgerald to be benched. After all, he threw for just 59 yards in that game with 0 touchdown passes and 4 interceptions, and by that point in the season, he hadn’t thrown a touchdown in more than a month and had 6 interceptions in the previous 4 games, 3 of which were Bulldog losses. Even with the benefit of hindsight, it was a perfectly rational sentiment to believe that to salvage the season, they’d have to look to Keytaon Thompson. Give Joe Moorhead credit though, he was loyal to his senior leader, and it paid off in the next game, where Fitz totally proved me wrong. A week after that ugly loss to LSU, Fitzgerald bounced back against No. 16 Texas A&M, completing 63 percent of his passes for 241 yards with 2 touchdowns and no picks, also adding another 88 yards and 2 touchdowns on the ground in a nice 28-13 win. As a true freshman in 2017, Kylin Hill flashed the potential to be an All-SEC caliber tailback, despite rushing for just 393 yards and 2 touchdowns. With Fitzgerald and Aeris Williams combining for 2,091 rushing yards that year, it’s somewhat understandable as to why he was limited to just 78 carries. As a sophomore, however, Hill took on a greater role, and was unquestionably the best tailback on the team in 2018, finishing with 734 yards on 117 carries, averaging 6.3-yards per carry. His coming out party was in Week 2 on the road against a Bill Snyder-coached Kansas State squad that historically employs a stout defense. Hill carried the ball 17 times (then a career-high) for 211 yards and 2 touchdowns, averaging a jaw-dropping 12.4 yards per carry. 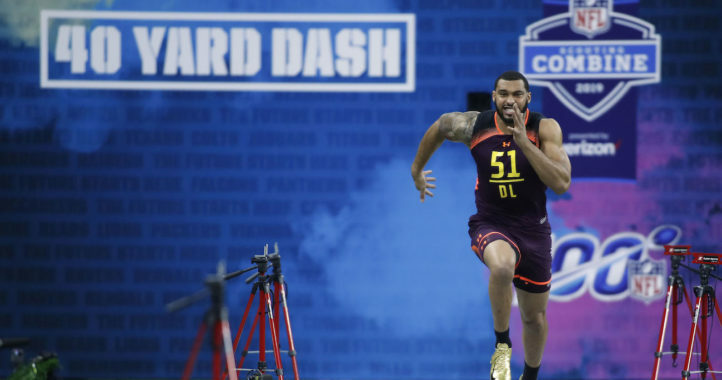 He even added another touchdown through the air for good measure, showing power, speed, balance and explosiveness as a complete back. Speaking of dominant rushing performances, how could we forget the unbelievable performance the Bulldogs put up against then-No. 8 Auburn. State was coming off two consecutive tough losses to Kentucky and Florida, games in which the Bulldogs were hindered by a woefully ineffective passing attack. It appeared as if a once promising season was going off the rails. The Bulldogs abandoned the passing attack the next week against Auburn, a team that, at the time, was still in the Playoff hunt, fueled by a very talented and effective defensive front seven. How’d that work out? The Bulldogs attempted just 17 passes and instead ran the ball 57 times for an astonishing 349 yards and 2 scores, which led to a dominating 23-9 victory. Fitzgerald ran for 195 yards and both TDs; Hill added 126 yards. Turns out, that was the beginning of a 4-game stretch in which the Bulldogs ran for 982 yards and 6 touchdowns. I mean, c’mon, how can we not mention the unbelievable Mississippi State defense of 2018? And let’s not try and narrow it to a single moment, because that wouldn’t do it justice. Instead, let’s honor the whole damn season, because it was truly a thing of beauty. Counting the bowl game, the Bulldogs allowed just 13.2 points per game, second only to the national champion Clemson Tigers. They finished 6th in passing yards allowed (168), 3rd in rushing (95.8), 5th in yards per carry (2.9) and first in total yards per game (263.8) and per play (4.1). This was truly a defense that was title-worthy, and it’s a shame they didn’t get more help from their offense along the way. 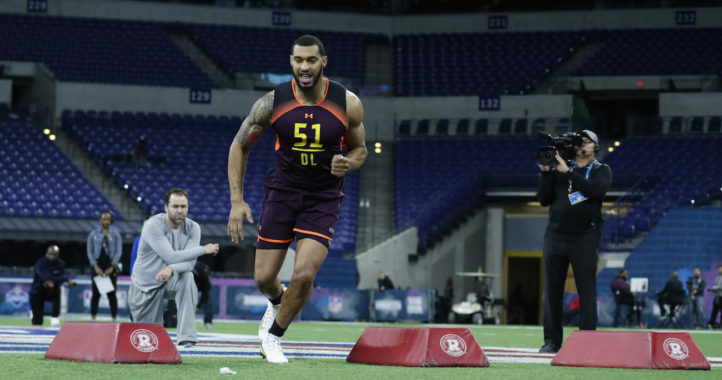 The final reward to this unit will come in a few months, where they could see 3 players picked in the first round (DE Montez Sweat, NT Jeffery Simmons and S Johnathan Abram) and potentially 9 players drafted off the unit overall. This will be a defense that will forever live in Bulldogs fame. Truthfully, this wasn’t my “favorite” moment of the entire 2018 season, because as a former Ole Miss football player, I would have enjoyed a more competitive game. However, as an unbiased and objective analyst who covers both programs, this should undoubtedly be considered the highlight of the Bulldogs’ season. 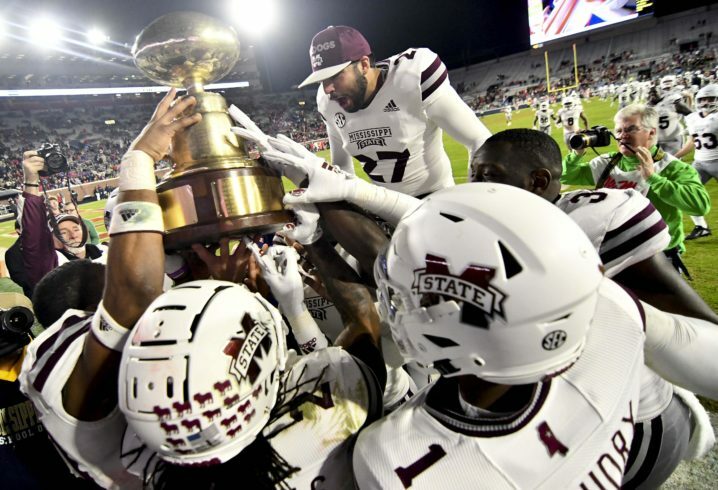 This year had many ups and downs for Moorhead, and considering many fans felt they underachieved during the regular season, it was crucial for the Bulldogs to win the Egg Bowl. Not only did they win, but they absolutely destroyed the Rebels — in Oxford, no less. Moorhead probably knows by now, there are few things in this world more important to Bulldogs fans than beating the Rebels. Such a dominating win over their floundering rivals certainly bought Moorhead some goodwill going into his first full offseason, and despite a tough bowl loss, that win alone will keep the fan base energetic and optimistic heading into 2019. Ricky, you are an Ole Miss homer.